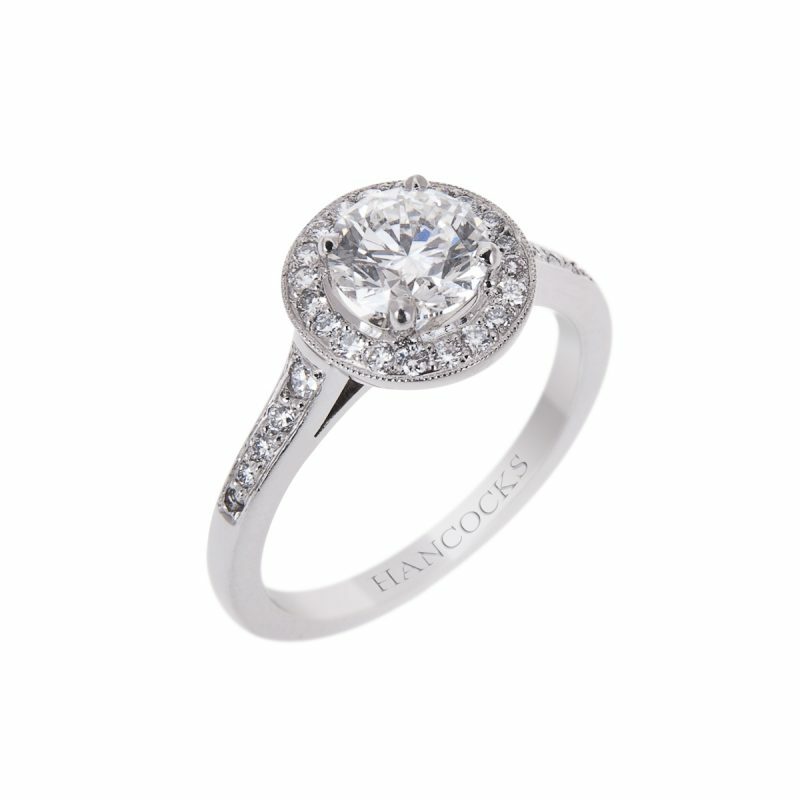 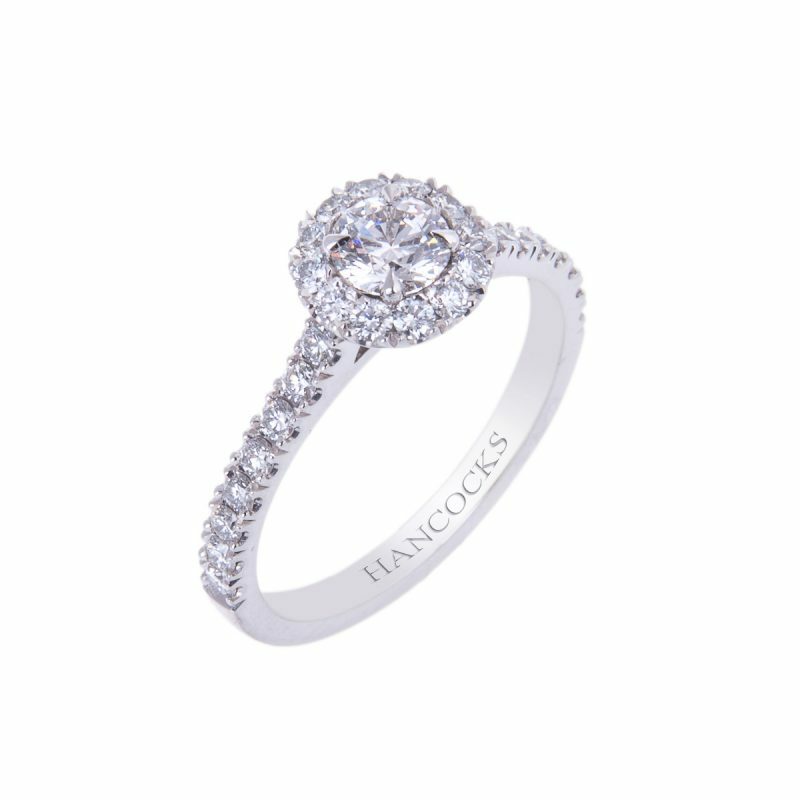 This vintage inspired engagement ring is an excellent choice. 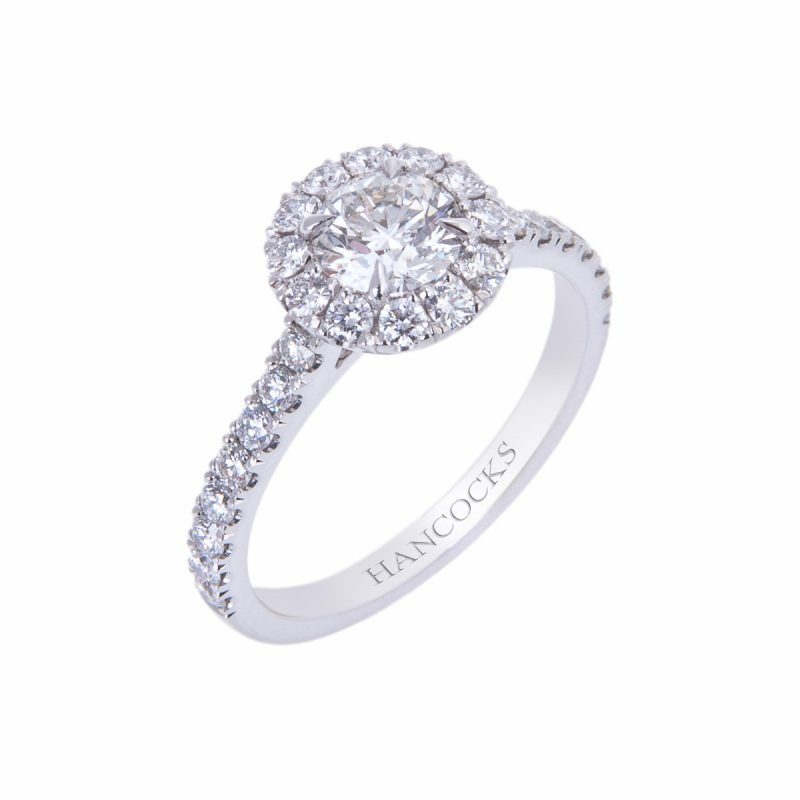 set with a certificated 0.40ct brilliant cut diamond surrounded with a row of diamond in a micro pavé setting, further accented by diamond set shoulders. 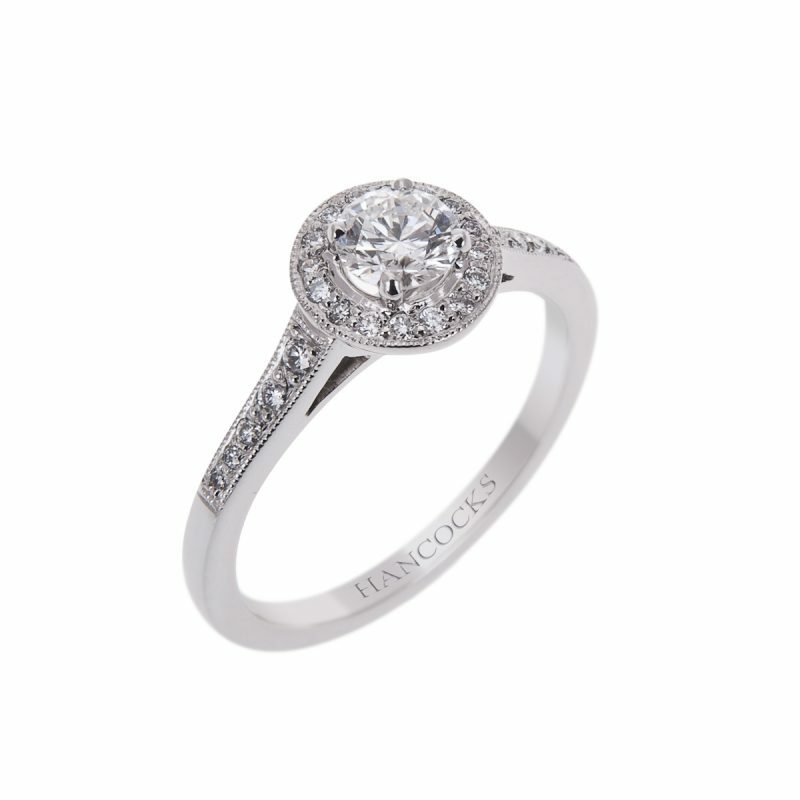 The modern brilliant cut is the most versatile of all cuts and displays more fire and brilliance than any other shape.